Roads in Ramsay County can be extremely volatile during the winter months, with snow and ice taking turns making life difficult for drivers. The most dreaded element of all, black ice, is also an omnipresent danger as temperatures fluctuate and moisture hardens quickly. Tire Damage. Extreme wear or even a puncture can occur as the result of a curb hit. Your wheel or rim could also be bent or warped which is of detriment to the health of your tire. It’s possible to suffer a flat tire as the result of hitting a curb but the unseen, less obvious damage is what you really need to worry about as thin/worn patches can lead to a full-on blowout when you’re driving on the highway. Alignment Damage. Almost always, the force of a curb or pothole hit is absorbed by a single tire. This can lead to your alignment being out of sorts which can be a major problem for your vehicle. If you notice your car veering one way or another when you’re driving on a straightaway, be sure to take it in to be inspected by an ASE-certified technician ASAP. Suspension Damage. Even if a curb hit seems minor it could easily cause enough of a jolt to throw off your tire/wheel suspension. Tie rods, which are a key component of the steering system, are often delicate enough to break from the impact of a small collision. Suspension systems are designed to help your vehicle drive smoothly over uneven surfaces so any damage to them can affect your ability to steer. 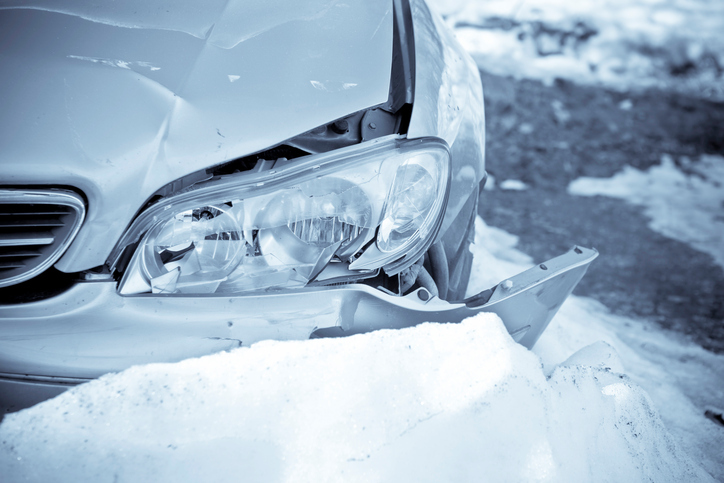 While it may seem like a minor occurrence, hitting an ice patch and running into a curb can lead to significant issues for your vehicle. If you find yourself dealing with this scenario this winter, be sure to give us a call at 651-426-0462 or swing by our location on Scheuneman Road for a quick inspection to make sure your tires, alignment and suspension are all hunky dory!